Three federal party leaders offered their congratulations and best wishes to Liberal Leader Philippe Couillard after his party won a majority government in Quebec's election, making him the province's next premier. Quebec Liberals win majority government. Quebec election 2014: 5 things to watch. Quebec election 2014: Ridings to watch on election night. "As a Quebecer, I am thrilled that my province will be represented by as dedicated a leader as Philippe Couillard," Liberal Party of Canada Leader Justin Trudeau said in a statement after the results were announced. Trudeau said Quebecers opted for a better economy instead of a third referendum by casting their ballots for Couillard. Prime Minister Stephen Harper also congratulated Couillard, recognizing that Quebecers used the election to reject a referendum. He said his Conservative government looks forward to working with Couillard and the majority Liberals in Quebec on the province's priorities of "the economy and job creation." Harper also thanked ousted Premier Pauline Marois for her work in government. 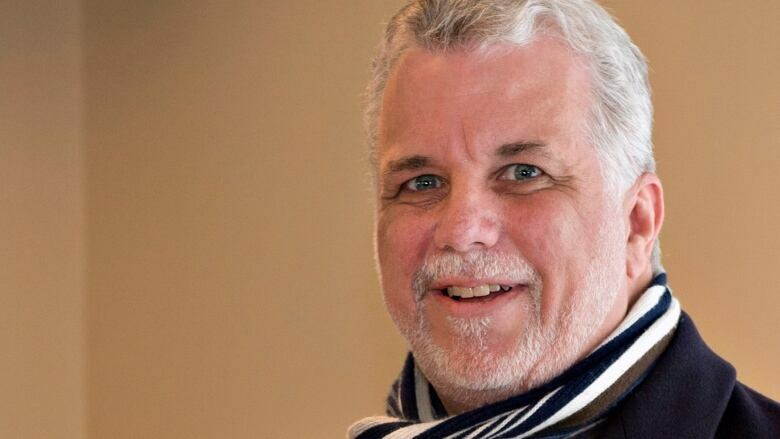 Official Opposition Leader Thomas Mulcair, a former cabinet minister in Jean Charest's Quebec Liberal government, congratulated Couillard and wished him all the best as Quebec's next premier. "The NDP has taken note of the people's desire to end the old quarrels, and the new premier can count on us to promote Quebec's interests in Ottawa as part of our effort to build a more just and prosperous Canada for all," the New Democratic Party leader said in a statement. What's at stake in the Quebec election?